Who will ensure you reduce your inheritance tax bill so you can spend your savings elsewhere? Most of us work hard to generate an income to provide for ourselves and our family and want to ensure that they are all taken care of financially. Most people do not realise that unless they make arrangements during their lifetime while they are fit and healthy, the taxman will take a large part of their estate before it reaches any remaining family. Careful planning during your lifetime can save literally tens of thousands of pounds of Inheritance Tax. Our Wills & Probate Team can help you to plan legally and sensibly. It ensures that your Estate(property and belongings) goes to those that you want it to, not those that the current legislation suggests it should go to. You can make your wishes known regarding caring and guardianship of your children. You can choose the executors who will ensure your wishes are put into effect after you have gone. If you work hard for your family it is only right that you spend a small amount of time ensuring that your Estate will be distributed how you would like it to be and that you make the best use of tax reliefs and allowances. We use our many years experience in this complex area to protect your interests and the interests of those that matter most to you. In some of our will packages we build in free annual reviews and amendments for you so that if you have minor changes we can incorporate them for you. We can also offer safe and secure storage facilities for your wills. Our probate services involve guiding you through the whole of the process and making it as simple and straightforward as possible for you. We will not baffle you with legal jargon or confuse you with unneccessary letters, we will just take care of the estate as efficiently as possible for you. 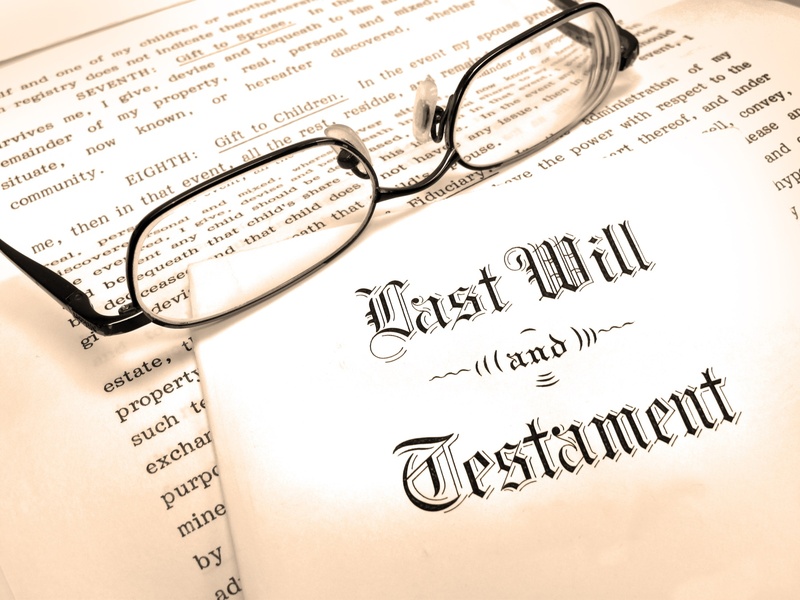 These prices apply only to cases in which there is no dispute about the validity of a will or the persons entitled to receive gifts under the will or in accordance with the rules relating to intestacy where there was no will. Other provisos are contained in the individual scenarios set out below. Scenario 1: Where you instruct us to apply for the grant of probate or letters of administration to collect in and to distribute the assets in accordance with the terms of the Will or the rules of intestacy. We anticipate that this will take between 20 – 25 hours work at £250 plus VAT per hour. Total costs are estimated at between £5,000 and £6,250 plus VAT. Please note however that the exact cost will depend on the individual circumstances of the matter. For instance, if there is one beneficiary and no property to sell or transfer the costs are likely to be lower than the £5,000 plus VAT quoted above. If, however, there are many beneficiaries, a property and many bank accounts or other sources of assets the costs will be at the higher end. There are no more than 5 banks or building society accounts. There are no other financial assets such as stocks and shares or interest in the income or capital of any trust. There are between 5 and 10 beneficiaries. There are no disputes between the beneficiaries on the division of assets. If any such dispute arises, this will lead to an increase in the cost. There is no Inheritance Tax payable and the executors do not need to submit a full account to the tax authorities(HMRC). £7.00 swearing of the oath (for each executor or administrator of the estate). Land charges department services (£1 per beneficiary). Additional costs which may occur, in particular if there is a foreign element, Agency fees would be incurred. If any additional copies of the grant will be required. Additional fees and costs may be incurred if there is no will or the estate consists of any shareholdings in stocks or bonds. We can only provide an accurate quote once we have information about these. If part of the estate consists of a property which has to be sold or transferred then there will be an additional cost. How long it may take to complete the matter from the date of full instructions until the estate is fully administered and all assets distributed depends on a number of factors which are outside our control. These may include delays in receiving instructions, the tracing of beneficiaries or collecting in the assets. In normal circumstances we would hope to obtain the grant of probate within about 3 months and to be able to wind up an estate within a further 6 months. However we cannot technically complete the matter until 10 months after the grant of probate or letters of administration has been obtained because within this period the estate remains vulnerable to claims from unknown or potential beneficiaries. Scenario 2: Is as for Scenario 1 but applies in cases where the estate is subject to the payment of Inheritance Tax which means that we shall have to prepare and file a full tax return for HMRC and in these circumstances we would expect our costs to be between £6,000 plus VAT and £10,000 plus VAT. This is however subject to those provisos mentioned in Scenario 1. This is likely to take much longer than Scenario 1 or 3 and is unlikely to be completed within a year. The time scales for dealing with these matters are likely to be affected by the same matters mentioned in connection with scenario 1 but the stages to be gone through are the same. Where all of the provisos in Scenario 1 apply but there is no property to sell or transfer and no Inheritance Tax payable then we would expect to be able to deal with matters of this nature for between £1,000 plus VAT and £2,000 plus VAT. Again this may depend on the number of and type of assets and the number and traceability of any beneficiaries. The estate should be wound up within six months and it is often possible to quote a fixed fee. General note about our costs on dealing with probate. We have done our best to give you an indication of the likely cost. We will only be able to give a proper quote which is fair to you and one in which we are prepared to act once we have all the information possible about the deceased’s estate and assets. Even then, if the existence of other assets becomes known later in the process, the fees may have to be revised but this will only be done with your formal written consent and with both of us having full knowledge of how these “new” or unknown assets may affect the value of the estate and, for instance, whether inheritance tax becomes payable. Additional fees may be chargeable if it is necessary to find or to instruct an appropriate agency to find “missing” relations or not easily identifiable beneficiaries. No work will be undertaken in that respect without your specific consent. All our matters are dealt with by either Daphne Frost on her own or in conjunction with Arthur Li whose profiles you will find in the “About us Meet the Team” section of this website. Both are happy to discuss with you the level of their expertise and experience. Both have been qualified solicitors for many years. None of our charges in this area are fixed or inflexible and we are happy to discuss these with you and to agree a fee once we both have full information about the estate of the deceased and what work is likely to be done. Our fees are likely to be reduced if the Will appoints us as executors or if you are a returning client with whom we already have a relationship (for instance because we have previously acted for you on a personal injury matter or have brought or sold a property for you or you have given us instructions in connection with your Will). Who will ensure your estate is distributed as you want it to be? We are here to help you and look forward to doing so.